The 27-year-old Serbian midfielder said he had asked Egyptian Mohamed Salah to tell match referee Michael Oliver he should reverse his decision to award a penalty on the stroke of half-time in Monday's match. Salah, who has been accused of diving by among others Palace manager Roy Hodgson, refused. However, Milivojevic believes the Premier League is better off without VAR even though they are the only hold-outs of the major, top-flight leagues to do so. "I do not want VAR in this league," he told the Crystal Palace website. "In this country you have the best referees in the world. I do not think VAR will help. "They are human beings, and they make mistakes sometimes. "In his opinion he (Oliver) did the right thing. "As players, we have to respect the referee. We are not a team who will cry over that penalty, we just carry on." Despite his dislike of the VAR system Milivojevic -- who is Palace's go to man for taking penalties -- has no doubt that Oliver was fooled into awarding the penalty taken by James Milner when Salah went down under a challenge by Palace centre-back Mamadou Sakho. "I told him 'Say to the referee it's not a penalty'," said Milivojevic who played for his country at the World Cup finals. "But he said it was. From his point of view it was a penalty. "It was not a penalty. During the game that was my opinion and after the game when I saw the image, Mama tried to touch the ball, he did not touch the ball and in my opinion he did not touch the man." 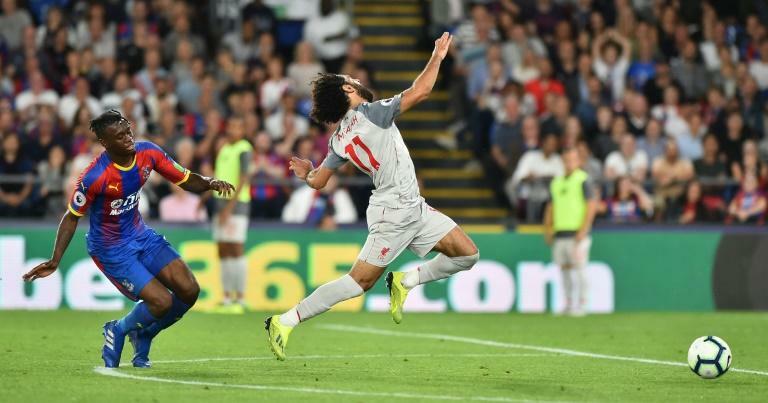 Liverpool wrapped up the three points when Sadio Mane slotted home in the 90th minute after Palace had been reduced to 10 men when Oliver sent off Aaron Wan-Bissaka in the second-half for bringing down Salah.